First things first, the most obvious thing would definitely be incorporating beautiful plants into your home’s interior. For instance, you can opt for the amazing potted trees which will create that exotic atmosphere and make you feel as if you were living in a luxurious beach house. Furthermore, you can go a step further and transform an entire wall into your own unique vertical garden. Here, you can express your creativity and experiment with different sorts of flowers until you come up with a design that reflects your personality the best. Another amazing way to bring the nature into your home is by letting the sunshine in. After all, there is nothing more soothing than feeling warm sun rays on our skin as soon as we wake up. Moreover, aside from being beneficial to our physical health, natural light affects our mood as well. It has been shown that people who spend too much time in dim spaces and are exposed only to artificial lighting are at a higher risk of suffering from depression and anxiety. So, make sure to keep the curtains wide open, and, if your budget is not too tight, think about installing large glass panels in your living room. You’ll have a chance to enjoy a beautiful view of your garden and bask in the sun all day long. Aside from bringing in flowers and letting the sunshine in, you may take a more indirect approach and decorate your home in colours and patterns which are inspired by our environment and all its beauties. You can start by incorporating different shades of green and blue or even make a bold statement by painting an accent wall bright yellow. Moreover, home accessories as well as interestingly patterned rugs can help you create that finishing touch and really tie the whole place together. We particularly like small floral sofa pillows which will go well with an elegant monochromatic lounge and add a touch of nature to the room. If you honestly want to fill your house with nature, consider opting for natural flooring instead of man-made. We particularly like wooden, bamboo and cork floors due to their raw quality that will make you feel one with the earth. Additionally, these materials are not complicated to maintain properly and they will add that homey and inviting feel to you living space. Finally, the same goes for your furniture. Think about exploring some DIY options and going for furniture pieces made only from organic materials. 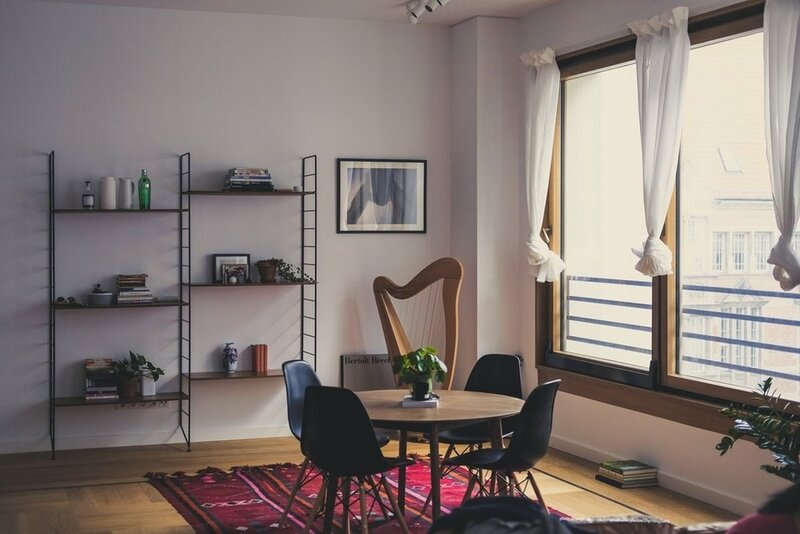 Not only will they contribute to your home’s design significantly, but you’ll show everyone how eco-conscious you are and actively help the environment preservation, too. Last but not least, don’t forget to keep the indoor air fresh and clean since if you don’t do this, all these flower arrangements, floral patterns and nature-inspired shades will be in vain. Having considered this, don’t hesitate to invest in a quality air purifier and regularly inspect your home’s ventilation system. On top of that, scented candles are a super popular decorative element and they can serve to produce all those characteristic nature fragrances that will help you relax and unwind from all the accumulated stress. You can even show off your creativity and create a few candles on your own. Lastly, floral potpourri is a fabulous alternative as well, so feel free to give it a try. As you can see, there are so many ways you can bring a bit of nature into your home. You just need to explore them all and experiment with some innovative solutions until you discover which ones suit your taste the best. Finally, remember that we are all different and that we should find a way to express our individuality through our home’s design. want more tips for healthy living? Sign up for access to our free resources library! Author's Bio: Lana Hawkins is an architecture student and a former editor-in-chief on Smooth Decorator. She enjoys writing about interior decoration and landscaping. Lana is interested in sustainability and green building, and that's where she gets most of her inspiration from.